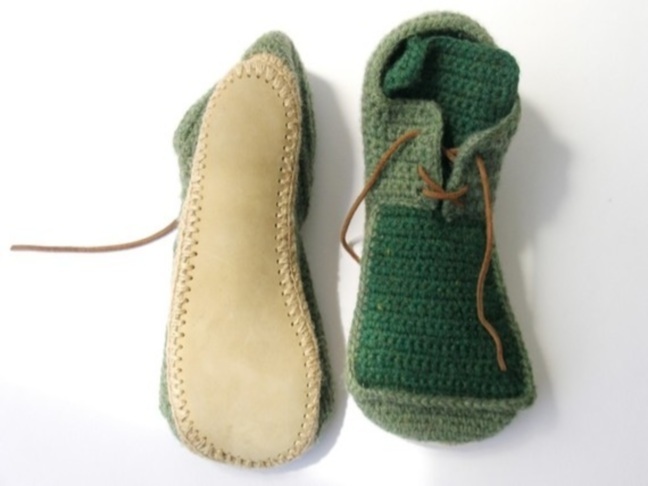 I love handmade house slippers – they provide just an extra hint of home to cosy house footwear. With so many options out there, where does one begin? 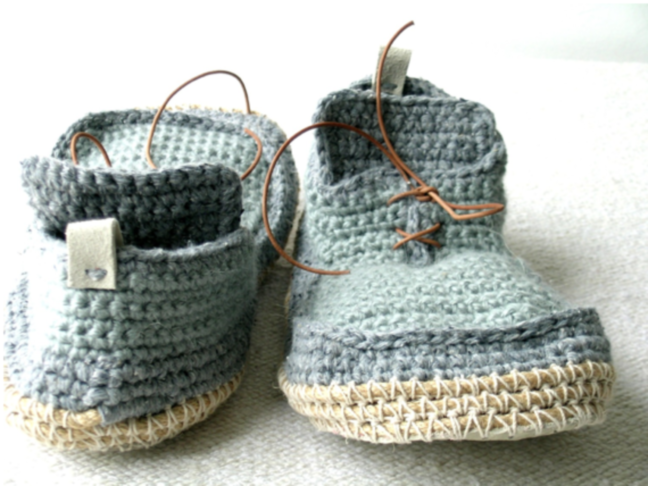 Israel-based Etsy seller Leninka hand crafts one-of-a-kind house shoes from all natural materials that satisfy our desire for comfort, style, and originality. 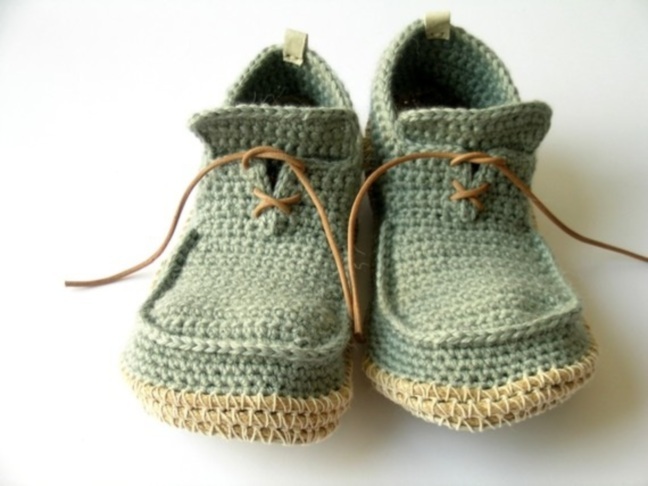 Leninka dreams of creating a knitted and crocheted world, and step one begins with a foot step — a crocheted foot step, that is. Each shoe is custom designed, with color and style choices made specific for the customer. And with only a 1-2 week waiting period, what’s not to love? The style of these boot-like house shoes is definitely not something we see everyday; they seem to have a personality of their own with the floppy and cosy feel of design. The thin leather lace makes you feel like you’re lacing up for big things, without having to leave the comfort of your home. Each shoe is soled with leather, so extra wear and tear to the soft fibers is not a concern. To find more inspiration for your own custom house shoes from Leninka, check out her selection of past orders in her Etsy shop.